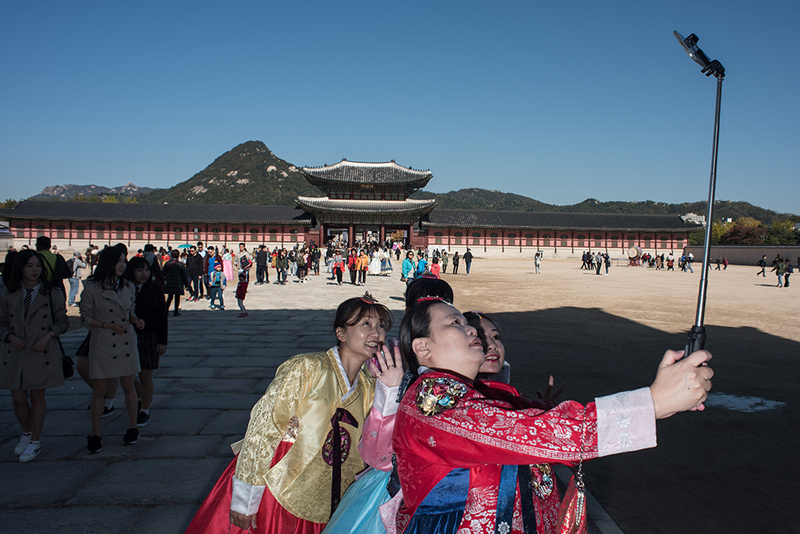 Look Again is a daily series presenting the best photographs of the previous 24 hours, curated and written by Salon's writers and editors. 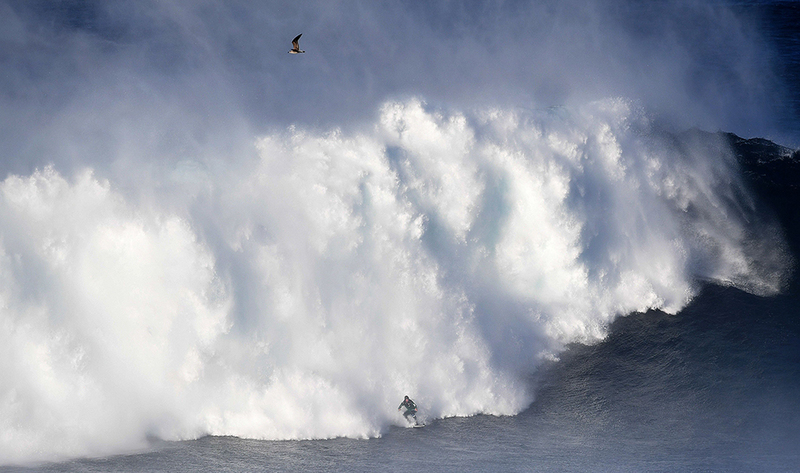 What are you doing, my surfing friend? Were you just out for a nice relaxing surf and things got out of hand? Or did you fully intend to recreate the denouement of "Point Break" along the coast of Portugal? Even if you are a thrill-seeking and charismatic fugitive attempting to elude justice for a string of violent crimes, the cascading wall of watery death nipping at your heels leaves me no less concerned for your health and well-being. I hope you made it back to shore in one piece and, if applicable, turned yourself in to the relevant authorities. For a while when I worked out of a physical office and aspired to bring my lunch every day, I became obsessed with the cute bento lunches moms create for their kids. Food cut and assembled into the shapes of flowers, animals and even cartoon characters like Hello Kitty. I never got further than portioning out small amounts of many different bites for a varied, balanced lunch myself — as it turns out, when you have no mini-me to appreciate your artistry, turning a mini-sandwich into a cat face loses its appeal — but I do appreciate a meal that takes presentation into account. 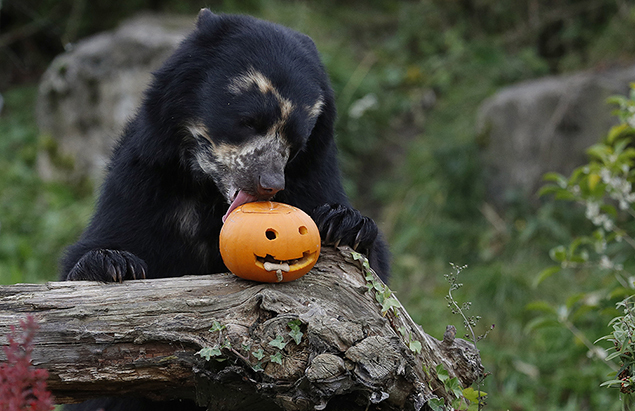 Bernardo is clearly enjoying the Andean bear version of the bento lunch here, as he seems quite close to devouring this sweet little jack o’lantern. I hope Bernardo appreciates the time it clearly took his handlers to make his lunch this cute. We take for granted that seemingly eradicated diseases are gone forever. But in Pakistan, and other places of the world, diseases like polio remain a devastating threat, thanks to reluctance, ignorance and opposition. 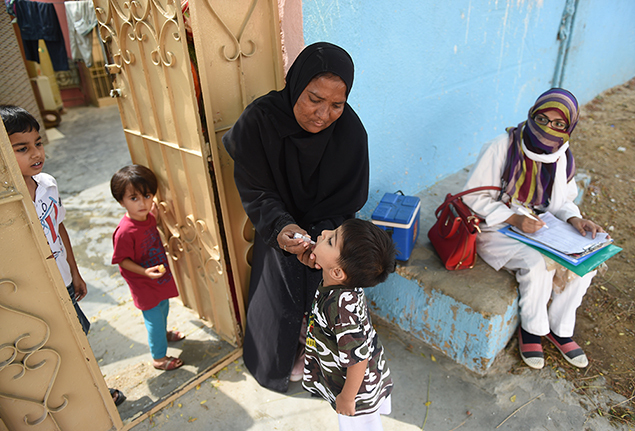 Immunization saves lives -- and failure to prevent diseases only assures they can come roaring back, with devastating consequences. Selfie sticks are among the lowest hanging fruit for criticism of millennials. That said, if social media-age narcissism had overlapped with the decade or so in which observational comedy wasn't hack, Jerry Seinfeld probably would have been the world's first trillionaire. Then imagine how rich Steve Bannon would be.